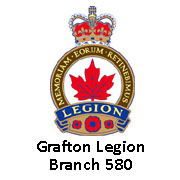 The 2018 District F Leadership Development Seminars will be held August 18th at the Grafton Legion and will be repeated August 19th in Peterborough. Coffee & breakfast snacks will be available in the morning for a donation. Lunch will be available (for a cost) at the Branch. Dress: Casual for attendees; blues & greys for District Officers.